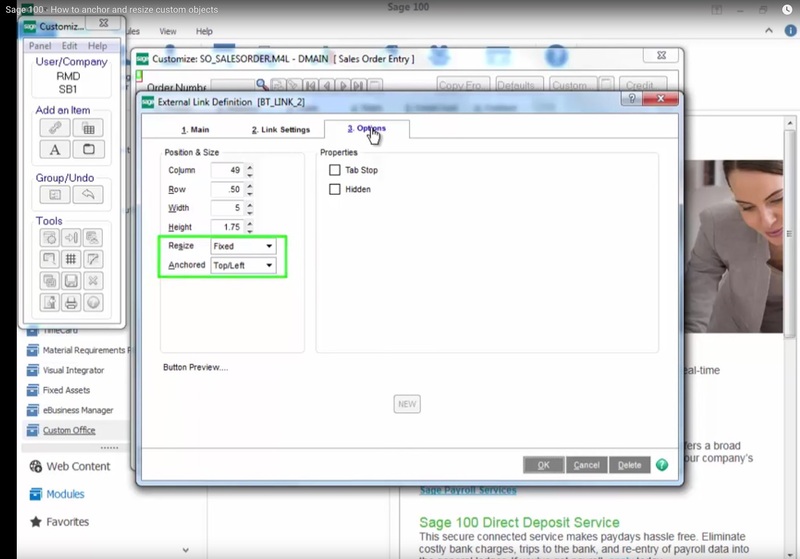 Sage 100 v2016.1 ( download ) has added two new options to Custom Office. These options appear as “Resize” and “Anchored”. Now when you create customized panels you can set properties for the object so a screen may be resized yet custom buttons stay in approximately the same location as the panel grows. Previously if you created buttons using Custom Office in Sage 100 they would appear properly positioned on a regular screen however if you expanded the size of the screen the button(s) would not move which resulted in somewhat awkward appearing screens. 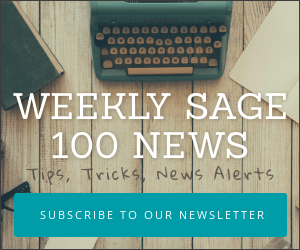 This change is included in Sage 100 2016 product update 1 (aka Sage 100 2016.1) and you may download and apply the update from here.